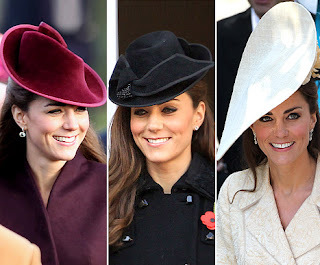 Laugh Gags: Kate Middleton Named "Hat Person of the Year"
Kate Middleton Named "Hat Person of the Year"
Kate Middleton Named "Hat Person of the Year", While some fashionistas may never understand Kate Middleton's love for feathered fascinators and hats that look like a giant potato chip, there's one group who appreciates the Duchess of Cambridge's whimsical toppers. The 30-year-old royal has been named "Hat Person of the Year" by the Headwear Association after slaying the competition -- which included Rachel Zoe and Justin Timberlake-- with over 90 percent of the public's votes. Middleton is the third star to receive the honor: Johnny Depp won last year and Brad Pitt was the first in 2009.